We are the Manufacturers, Wholesalers, and Exporters of Automatic Packing Machines & Semi-Automatic Packaging Machines that come utilized in the food, pharmacy and consumer goods industry. 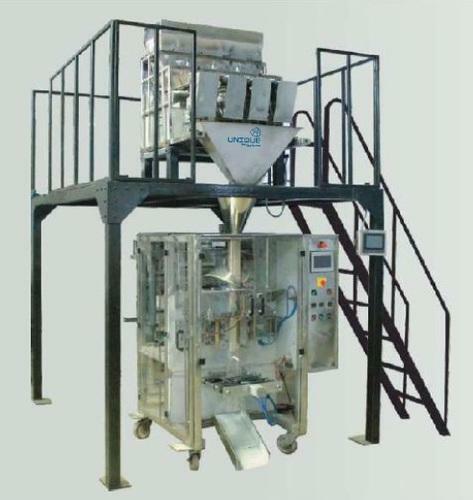 We are reputed manufacturer, exporter, and wholesaler of a wide gamut of Filling & Packaging Machines. Our range mainly consists of Automatic Pouch Packaging Machine, Automatic Liquid Packaging Machine, Bottle Filling and Capping Machines, Multi-Head Packing Systems, Screw Conveyors etc. All our products are designed and developed in accordance with the client's specifications. These machines are robust in construction and also easy to install.